front end planning across your portfolio of projects. If you already have a Carve account, click here to log in. 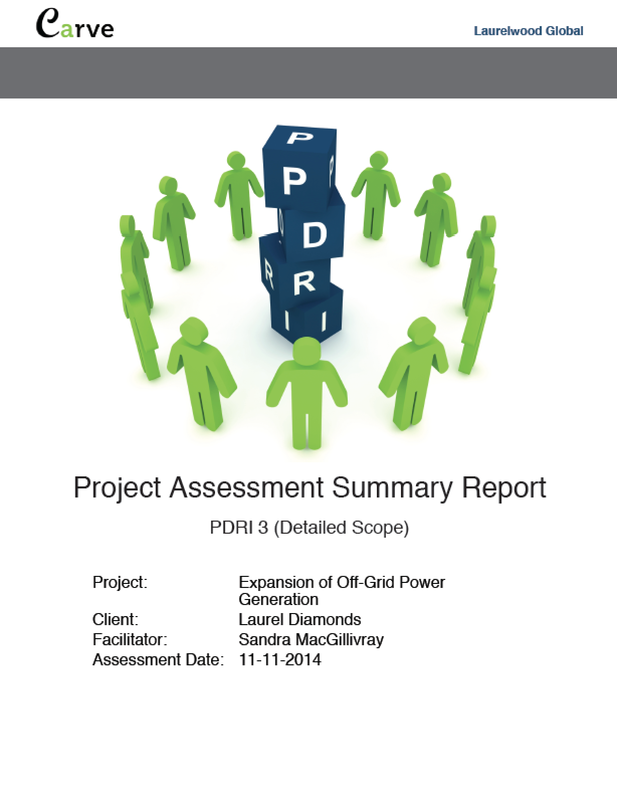 Maximizing PDRI’s value to all project stakeholders. Supporting risk management by stage gate in front end planning. 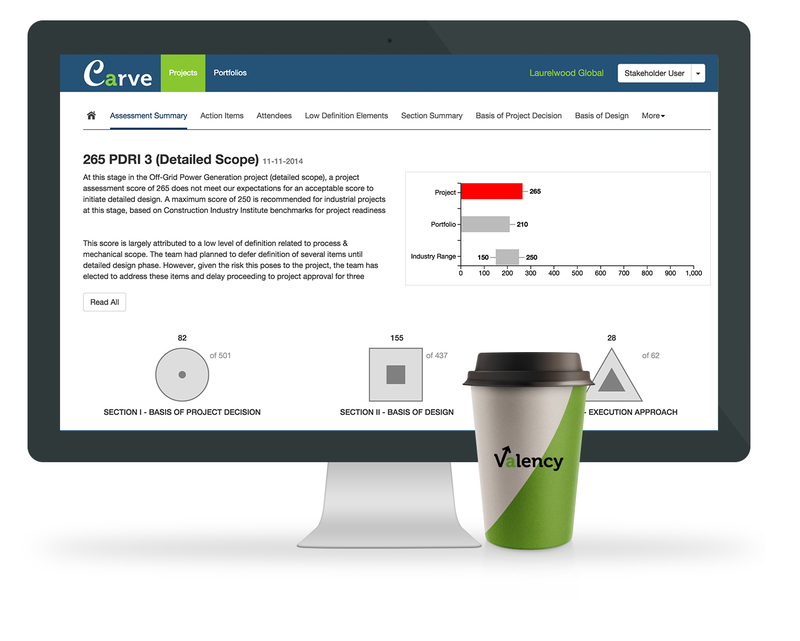 Leveraging applied analytics to identify areas for performance improvement. One of the main challenges with PDRI is that project team members that attend the half-day readiness review recognize the benefits, but the findings aren’t always accessible or easily understood by other key stakeholders. Carve addresses this gap by sharing results in a simple and visual format. Engage your project stakeholders in a visual manner that easily highlights the risk of each project in front end planning. 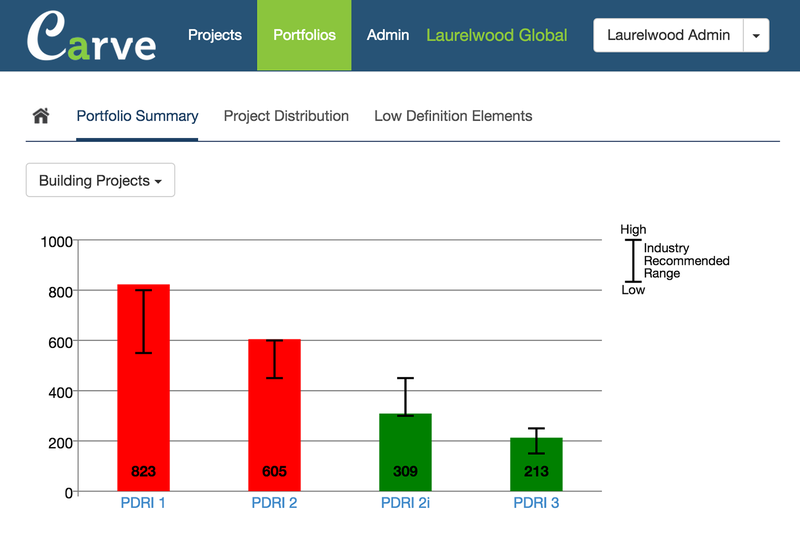 Carve’s red-yellow-green indicators quickly communicate the risk level of a project at each PDRI stage. 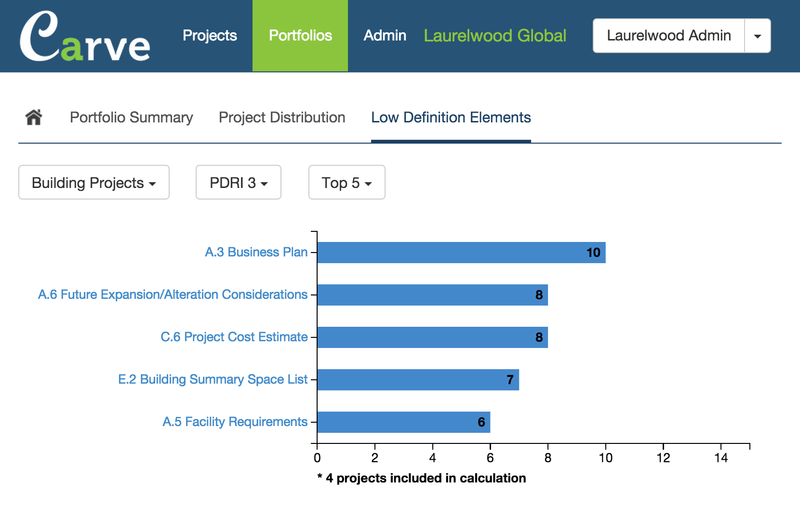 Share the results of a project’s PDRI session in an interactive manner that highlights identified risks (low definition items), action items, and comparison to relevant industry and portfolio benchmarks. 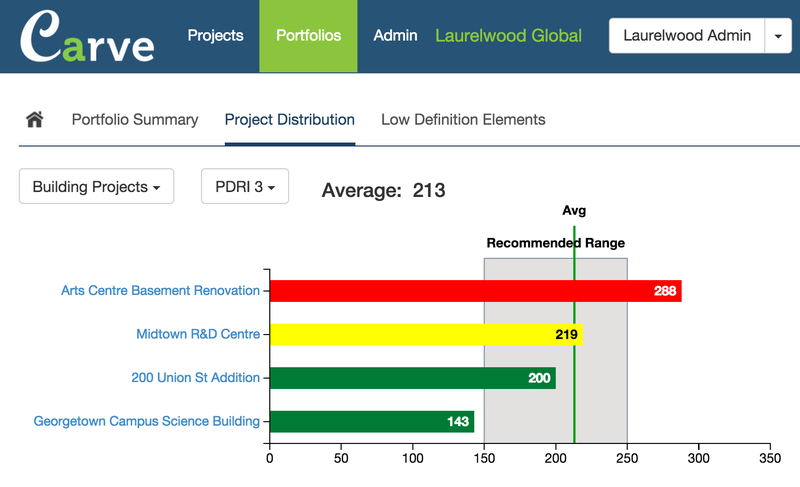 Create your PDRI Summary report in just one click. Communicate results in a manner that allows your executive team, board of directors, or investors to gain a clearer understanding of outstanding project risks without needing an in-depth understanding of PDRI. 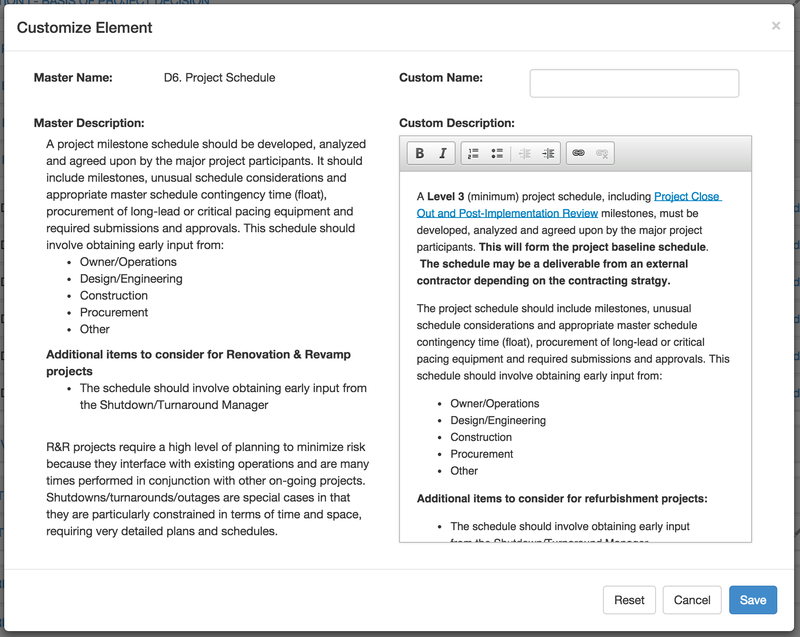 Customize element names and descriptions and make PDRI ‘fit-for-purpose’ to your organization. Incorporate business unit considerations, corporate policies and procedures, gate deliverables and regulatory requirements. 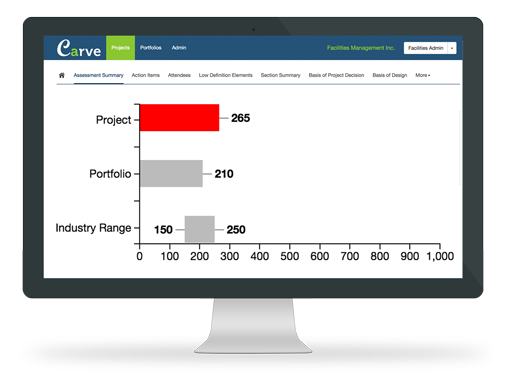 If your organization manages capital spending at a program or portfolio level, Carve helps equip your program and portfolio managers with increased insight into the portfolio-level risk of projects in front end planning. Portfolio managers gain insight into the aggregate risk profile of projects in their portfolio at each stage of the front end planning process. Portfolio managers can easily classify projects based on risk, in particular as they move from front end planning into execution. 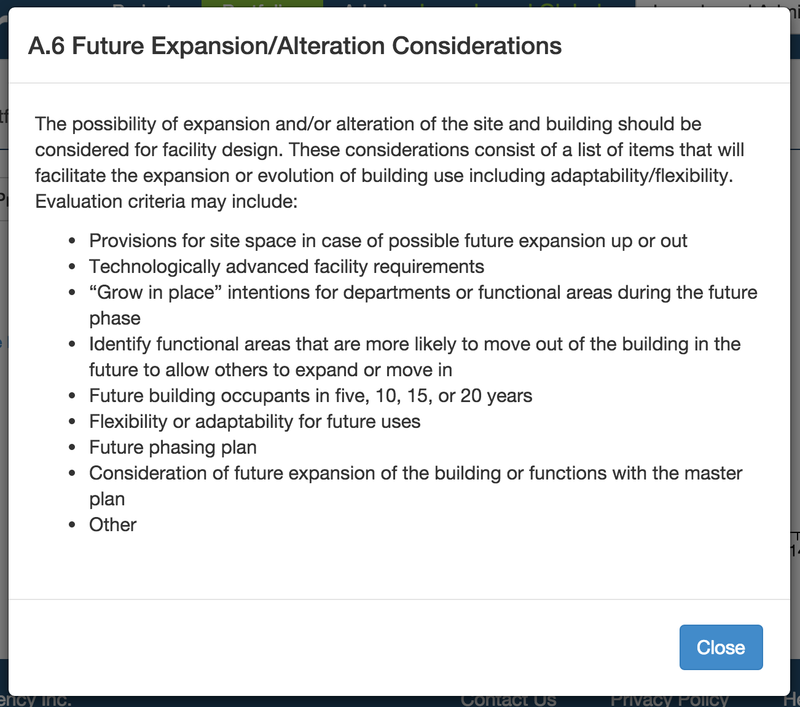 Focus on the exceptions and drill down into higher risk projects with a single click. 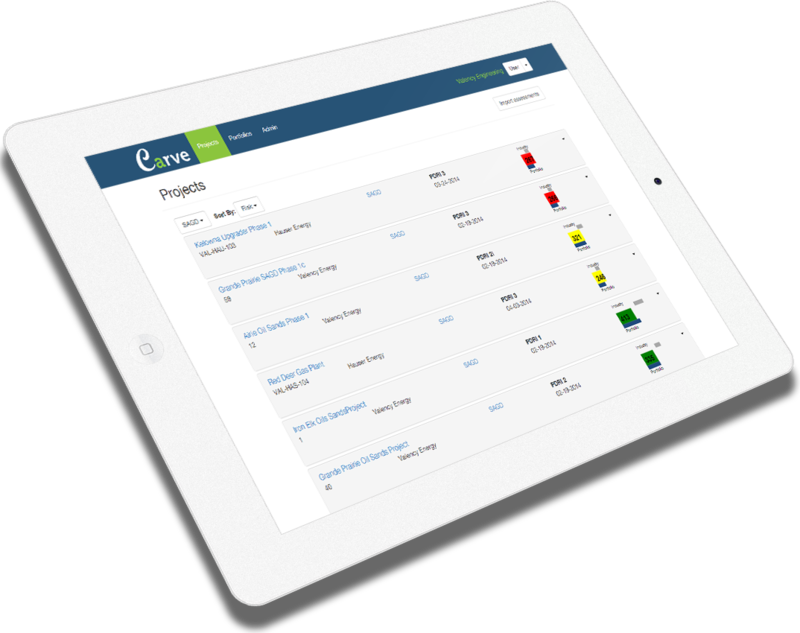 Carve provides those responsible for your center of excellence or continuous improvement with a comprehensive insight into your front end planning practices. Analyze the low definition elements that consistently pose the most risk to successful project execution for each portfolio and stage gate. Don’t worry if you don’t use PDRI every day. Carve helps you access the element descriptions with a simple click.